Come celebrate twenty years with the Neighborhood Art House, and learn some tricks of the trade while you're there. The number twenty is not always the most celebrated birthday in America, but for the Neighborhood Art House, it's a pretty big deal. 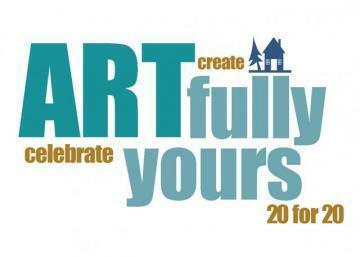 Starting on the twentieth of January, and continuing on the twentieth of February and March, the Neighborhood Art House will be reveling in its twenty year anniversary with their ARTfully yours extravaganza. The first twenty (there it is again) people to register will get to experiment with different forms of art while enjoying wine and snacks, because we all know that not many things make art better the way that a few glasses of merlot can. If you sign up for the event in January you'll have your pick between two options: Weave a Belt and Developing Your Green Thumb. The belt weaving event will be curated by NAH instructor Barb Hauck. Participants will get to design a belt, creating a fashionable color scheme and weaving it themselves. No experience is necessary; you'll be guided step-by-step through the rich heritage of weaving as you learn about the history of the art. If you already have enough belts, perhaps you'd enjoy learning about indoor gardening with Stan's Garden Center's own Josh Skarzenski. Come the middle of January we'll all be missing the sight of living plants, so Skarzenski will be teaching the art of plating a dish garden that you can keep indoors. Shake off the winter blues with some fresh greenery, courtesy the Neighborhood Art House. The festivities aren't limited to January, however. February twentieth will feature Acrylic Painting and Marbling—Create a Fashion Scarf. Once March roles around, you'll be able to enroll in either Flower Arranging or Simple Jewelry Making. Additional activities include Mosaics—You Design from Tiles You Create, Clay Sculptures, Knitting, and others. Be sure to register early as class sizes are limited. A fee of $40 (that's two twenties) is due at the time of registration, which covers the wine, snacks, and all required materials. Registration itself is simple; either register online, send a check with your class preference to NAH, 201 East 10th Street, Erie, PA 16503, or call 455.5508 and register with your credit card.